Back in 2001 or 2002, The Man and I went on a rare date, to a concert in Colorado Springs: Steven Curtis Chapman and Nichole Nordeman. I was a huge fan of both. On stage she moved me to tears. For years her music and lyrics have inspired me. Somehow over the past year or so, we've become friends. I'm not even entirely sure how it happened, but I just adore her. A while back she asked if she could quote me in a book she was writing. After consulting my legal team, I gave her the go-ahead. There's a good chance I landed on the cutting room floor. And that's fine! Because it's not really about me anyway. After I sheepishly asked, "Can I give one away on my blog?" Nichole was kind enough to send me several autographed copies of the book to give away to you! Each has it's own unique message she's written in the front. And I couldn't be more honored to do it. Luci Swindoll calls Nichole a wordsmith, which I believe is the perfect description. Natalie Grant calls this book a treasure. Max Lucado says "Read it!" And really, who's to argue with him?? I am so thrilled to be able to share Love Story with 3 of you!! It will make you clutch your heart, gasp out loud, snort with laughter, shed a few tears, and rock your spiritual world. All in the best possible way, of course. To enter: Simply leave a comment telling the last concert you attended. In a week or so, I'll draw 3 random winners! Love Story is currently available for pre-order on amazon and in bookstores across the country on Aug. 28! Umm.. I might not remember. Possibly a Mercy Me concert with Hawk Nelson and various artists at it. It's been a long time since I've gone to one- over two years! Oh my goodness....last concert? It's been a lot of years, but it might have been George Strait and Jo Dee Messina (did I spell that right?) in Oklahoma City in ..... 2002? 2003? I think I only had two kids at the time, so it was definitely before 2004.
oh this looks like a lovely book! I have enjoyed her music for many years. Last concert? ummmmmm geez I can't even think of a concert I've attended in a long time! The last concert I attended was a Toby Keith concert with my BFF. She goes every year, but no one wanted to get close seats with her, always lawn seats. I splurged and went with her so she could sit close. Winter Jam 2 years Ago. Oh, it's been so long. I think it was Sting and Annie Lennox and it was amazing! The last I attended was a music festival, but didn't get to really enjoy any music (was working and hearing a blend of different bands). The last person I saw perform was Alice Ridley who was amazing! Over the 4th of July we got to go to the Nitty Gritty Dirt Band in Breckenridge. Great band. Great free concert. I would love to read this book! The last concert I went to was Alison Krauss. I love Nichole Nordeman. Her Brave album is a favorite of mine! My last concert was Matthew West at the Women of Joy weekend in OKC. It was awesome! Shared link on Facebook...now I need to finish getting ready for work. Good luck everyone--this book looks like a gem! The last (and only) concert I've been to is Blake Shelton, at the Colorado State Fair. Definitely need to up my concert experiences. The last concert I went to was the Star Wars concert with an orchestra in Wichita. It was amazing. Any music by John Williams is great! I haven't been to a concert in for-ev-er. Unless you count a musical play? Last one I went to was Little House on the Prairie when it came to OKC! Um..... the last concert I went to was the 2011 Rock & Worship Roadshow. We went to The Story when it opened here in Wichita Kansas! Great story through music and video! It's kind of crazy how hard I had to think about that one, but it was Keith Urban and Jake Owen! I think the last concert I attended was a Hillsong Concert. The last concert I have been would have to be Andre Bocelli--gosh a long while ago! I want to win this book--need. love. want. What a nice giveaway! The last concert I went to was America. Love them! I don't know about the last concert, but right now I'm thinking of the first concert my fiance and I went to, Tim Mcgraw. He hates country, but knew I loved it. Well he actually fell in love with the opening act, Lady Antebellum. Now we are planning to use a Lady A song for our first dance! My hubby and I went to see Coldplay in July! So much fun! The last concert I attended was Third Day. I was in a totally grumpy mood that day and was rude to my friend but we went anyway. What a blessing for me. They were awesome and their opening acts were too. Truly changed my mood and made my day turn out to be so much richer for going. About 11 years ago I saw Mercy Me for concert. Most recently (5 years ago) I got to experience Addison Road lead worship. Um, I think possibly it was a Lady Antebellum concert. It's been a while! Would love this book, thanks. Jars o' Clay. NichNor sounds like someone who "gets me." Thanks for sharing this! Whats kind of funny is that is was Steven Curtis Chapman :) No seriously last Saturday we went to a Christian festival. He was the last to perform. We also saw Mikes Chair, Mandisa and Matthew West! So great! The last concert I went to was Phil Whickham and Shane & Shane. I would LOVE to get this book. 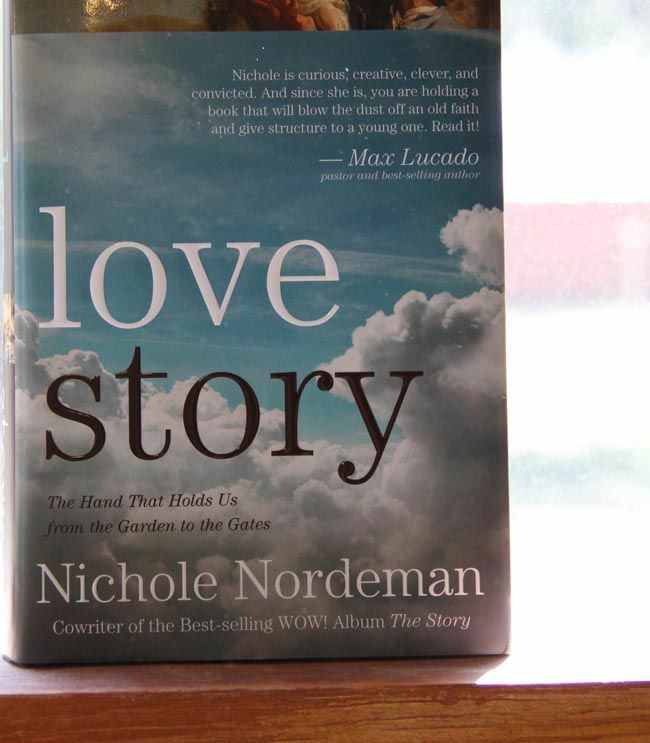 Nichole Nordeman is my favorite Christian artist! I saw nichole at women of faith one year. Terrific lady. It's been a while, but I went to a Larnell Harris benefit concert in Cleveland, OH. I really want to win this book! 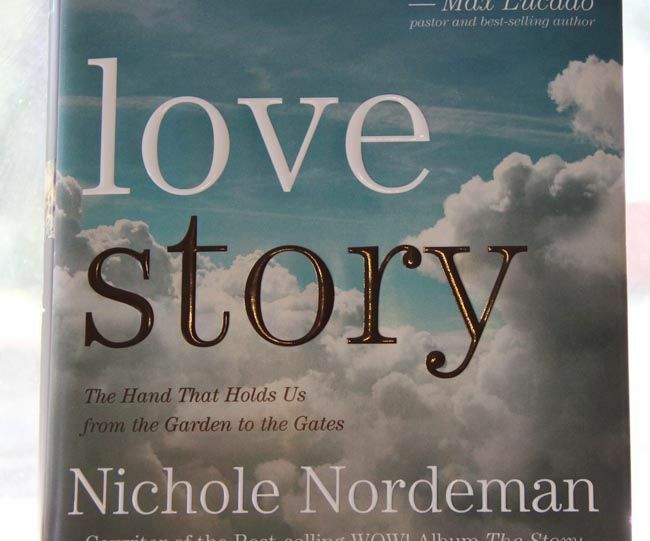 I LOVE Nichole Nordeman! The last concert I was at was a festival, and we saw Craig Traubman (who I had never heard of at the time). His song, "Holy Ground," has since become a favorite. Really awesome and heartfelt. I won Tim & Faith tickets a few years back...oh dear that was 5 years ago. 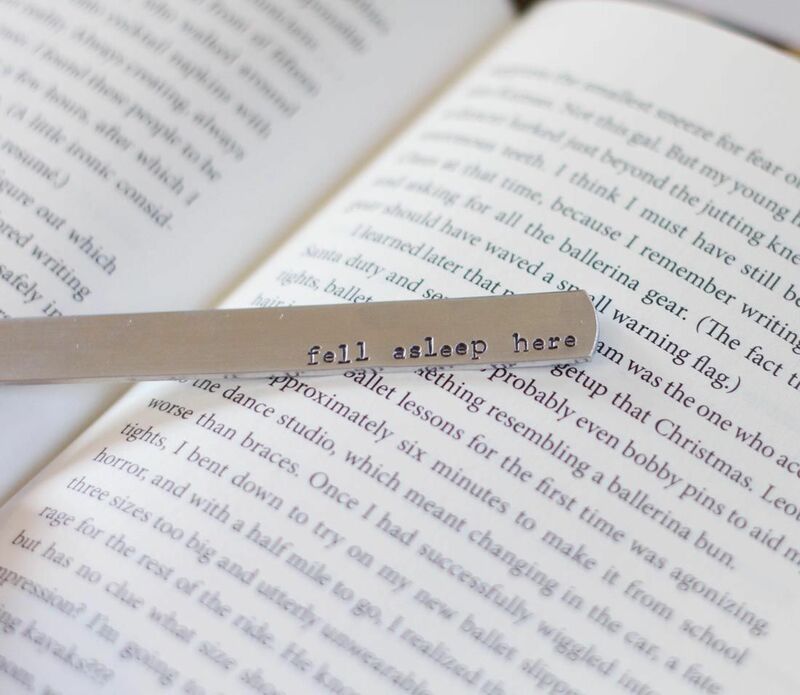 and it is a cute book mark...so appropriate for night time readers, like me. The Story Tour in Wichita! Let's see, in 2008 to see Joe Bonamassa. It started storming a little way in so it was cancelled and rescheduled. Of course that night I went into labor with my daughter :) I haven't been to one since. I cannot remember. Does my daughter's band concert count? I have heard several people at conferences, and some people have been to our church. As far as paying money to go to concert, I just do not know. My last and only concert was in the 80's when I was in Germany "Monsters of Rock"
Hmm, the last concert I went to was last year with my then 5-yr old dd, we went to see Big Time Rush at state fair. It's been a while, but I think the last was a Barlow Girl concert. They were amazing! The last concert I went to was Cloverton in "small town," Kansas before they hit the radio. It was great! Ok I LOVE Nichole Nordeman! Her music is AMAZING. The Last concert I went to was U2, it was really fun. My last concert was at my parent's church in Shell Knob, MO. It was this cute little family who sang/played bluegrass and hymns and their own original stuff. I love family harmony! Concert...hmmm. Not sure, but I was blessed to hear Nicole at a women's conference hosted by my church. To this day I cannot listen to "I Am", without being move to tears! The last concert I attended was just a few weeks ago, and was a 50th birthday gift from my sister. We attended together. It was Barry Manilow. I Facebooked - can you tell I LOVE Nichole??? I've never been to a concert.....oh man I need to get out more! And you called me a rockstar today?! So awesome! Pretty sure my last concert was Brooks and Dunn. My husband and daughter in college are both singers, so we go to a lot of concerts. I think the last one that I attended was my dh's Chorale Society concert. Gorgeous music! I'm pretty sure it was Boys II Men in 1995...now that was a long time ago. BLISSDOM!!! Joe Jonas and Rascal Flatts! i would LOVE to win a copy of this book! and look at you fancy lady!!! Last concert I went to was Eric Church!!!!! Last concert was a couple weeks ago... Miss Reba at Cheyenne Frontier Days! The last concert I went to was Third Day at the Kansas State Fair last year. My friend got from her hubby 4 tickets, I think for Mother's Day, so she invited 3 friends along. Then she gifted me a cd of theirs and I have such sweet memories of us rocking out to this great band! It was drizzling rain and they were amazing. This year we are going to Casting Crowns together, same bat place, same bat month. I pinned the pic with your bookmark "fell asleep here". LOVE IT! This looks great! The last concert was INSYNC a few years ago. Just before it started we won front row seat tickets! It was so much fun! I'm hoping that luck will carry through to this giveaway as well! You rock! The last concert I went to was Toby Mac. The last concert I went to was JJ Heller and Audrey Assad. I adore JJ, her voice, her music and her lyrics. It was also really cute to see her up there with her husband as her guitarist, and they brought their two little girls up to say hello! to everyone. The last concert we attended was the Elton John concert - IT WAS AMAZING!! My husband surprised me with Def Leppard tickets for my birthday. I have been a HUGE fan since I was a teenager and truly had the best time. I'm sure I'll be unique in my concert going taste on here but it was awesome and I screamed my head off like a young schoolgirl! Went to see Eric Church in concert for my birthday. Loud and fun! Besides kid concerts, George Strait and Reba! Forgot to leave my info! Last Concert...hmm a christian band not sure which one. The last concert I attended was David Crowder Band during their last concert series. They also played with Gungor! Loved them both! The last concert I attended was the middle school chorus concert in June. The last "real" concert was Whitney Houston. Some time in the 1980s. GAH!! Micheal Buble was my last live concert. It's been way to long - who knows - maybe Hadden Sayers Band?!?! My last concert was Ingrid Michaelson, and she and her husband sang a few duets. Very sweet! last concert....HHHMM... something country in KC and I can't even remember the name of the band-that is how good it was HA! My last concert was Emerson Drive, just over a year ago. We have plans to head to our State Fair this Friday for Charlie Daniel's Band!! The last concert I attended, was Tim McGraw and Kenny Chesney Boys of Summer tour June 2012...I'm not a huge country music fun, but it was basically a free trip to Nashville. So, how could I pass it up!!! Last concert I attended was John Mellencamp in May ~ he was on my bucket list so I was very excited to see him. Loved reading all the comments ~ quite an array of musical tastes! You crack me up on a daily basis on Twitter ~ just sayin. I've been to 2 by my favorite group, Mercy Me. They are awesome and so down to earthly humble as well! The rockin' worship road show. It was so, so good! Last concert I went to was Kenny Chesney & Tim McGraw about 2 months ago in Chicago. last concert... yeah....... Tanya Tucker when I was 10 years old! Can you believe that??!?! I just don't understand why I would want to pay money for that sort of thing AND I don't have money for that so that solves it pretty easy! You're right she is a groovy chick. Huge fan. I guess Amy Grant at Women of Faith last year would be it! And Mandisa the night before! So awesome! Thanks for offering this Beki! Would love to read it! I took my kids to see 'Go Fish'... Wow has it been nearly three years ago? They were great. Hubby and I went to see casting crowns 3 yrs ago and they were amazing! Every Sunday morning when I go to church, I feel like I'm at a rock concert. Brian Wurzell, our worship pastor, is so awesome. My last actual concert was Brad Paisley. The last concert I went to was in May and I saw Mandisa and Laura Story at the Girls Night Live! Before that in December I saw BarlowGirl!! Actually the last concert was a local small town talent spotlight type event featuring "Them Boys" Actual name of the band! Just Tweeted this! Do we get the bookmark too? :) Too cute! I shared this on Facebook! Love the bookmark! My sister bought me a necklace for my birthday from you! Love it!! !